I recently had a chance to review Avanti’s Slingshot print MIS system and was quite impressed. Their solution is built upon the premise that the print and marketing services business is increasingly reliant upon multiple lines of business. In other words, the customer goals for this industry are to quote, accept and fulfill orders rather than to just print jobs – meaning that orders often consist of a variety of line items which could be produced or fulfilled in a variety of ways. Their system is designed to manage the MIS portions of these orders and to split and direct the line items to the appropriate production and fulfillment workflows. Here’s a product overview video I created as part of the workflow product briefing on Avanti Slingshot which is available to PODi members on the PODi website. The full product briefing also contains additional detailed videos demonstrating and discussing how to use it to create estimates and orders, produce and fulfill line items, handle billing and CRM activities, and use their QuickStart database to set up the system. It is built around the concept of handling orders and multiple lines of business rather than just print jobs. It can be implemented on-site or in the cloud. It has a QuickStart database containing over 200 print and finishing devices to help quickly set up the system and to easily switch equipment as time goes on. It provides tools and services that help CSRs and production personnel as well as the back office bean counters. This last point is really important. Historically, print MIS systems are often loved by business strategists to help better understand costs and profitability but disliked by production staff because they add touches to track costs without helping get product out the door. 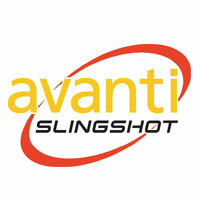 Avanti Slingshot uses bar codes and predictive filtering to minimize the time required for operators to enter information. At the same time, it helps operators get products out faster with ways to share messages about jobs with other teammates and to easily see and manage their workloads. CSRs can use it to track where jobs are in the process to soothe anxious clients. Purchasing can tie in with automated purchasing plans for components and outsourced services. And, of course, the accounting department can use it to quickly invoice clients to improve cash flow. The one other item I think has tremendous value, assuming people use it, is the built-in CRM module. With it, you have a single database of all customer interactions and plans coupled with their entire order history. This could be a huge asset for creating and implementing sales and marketing plans which is something I find print and marketing service providers don’t do often enough. So, again, I’m impressed by this system and how Avanti has endowed it with a considerable breadth of functionality while keeping the interface clean (dashboards can be customized with functionality limited for each user). Nice job guys.